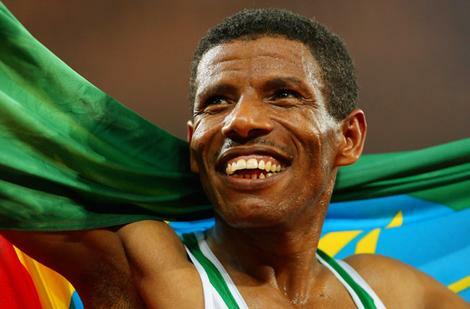 Haile is running athlete, with Olympic gold medals and 27 world records. He runs long-distance and road marathon. He was born in Asella, he would run 10 kilometres every day to get to school from his family’s farm. Ethiopia is the nation of the most notable running athletes : Abebe Bekila, Derartu Tulu, Kenenissa, Dibaba, Meseret Defar… You will see every mornings at Mesquel Square in Addis Abeba young athletes running or around Entoto over the capital. The athletes have acces to world-class training facilities to succed, the altitude is one of the secret, the runners are from high altitudes region : Assela and Bekoji. The train in such places to lower their need in oxygen. But the runners train hard and it’s part of the Ethiopian culture.